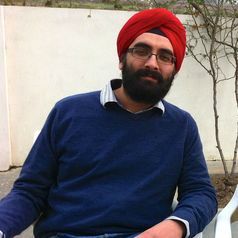 Gajendra Singh is Lecturer in South Asian History at the University of Exeter. His previous work explored the war testimonies of Indian soldiers during the two World Wars (published by Bloomsbury as The Testimonies of Indian Soldiers and Two World Wars: Between Self and Sepoy). He is currently researching revolutionary violence in India in the 1910s.